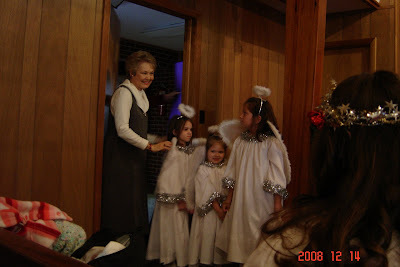 Our kids got to be a part of a couple different Christmas programs at church this year. 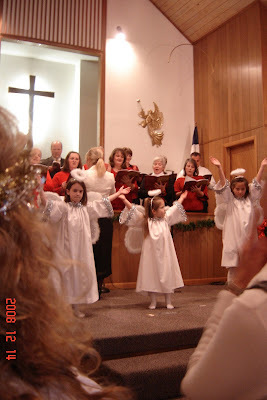 On Sunday morning last week, our choir performed a Christmas Cantata (Guy was a part of this too). 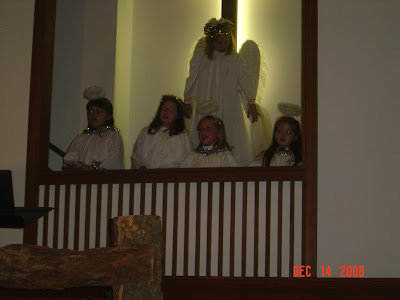 Hope got to be an angel that did a little dance routine to one of the songs. 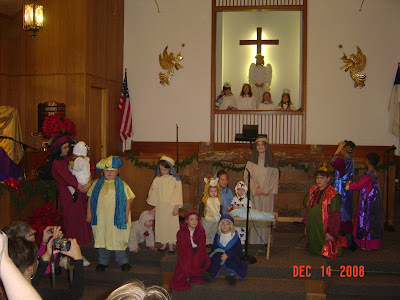 Later on that evening the kids involved in Sunday School and Awana performed a Christmas play. 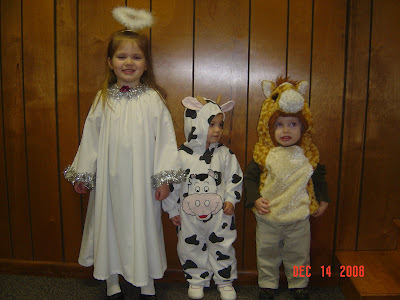 Hope was an angel and the twins got to be barnyard animals. (That way it didn't matter if they wandered around on the stage!) They did really well though and actually hardly moved. 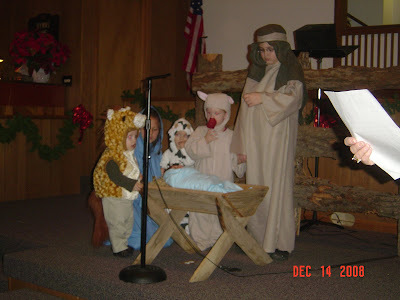 Mary, Joseph, Jesus (no that is not Joy! ), and the barnyard animals. Nolan is the horse and Grace is the cow.